The faucetfeatures a timeless design and fits perfectly into the individual style of any kitchen. 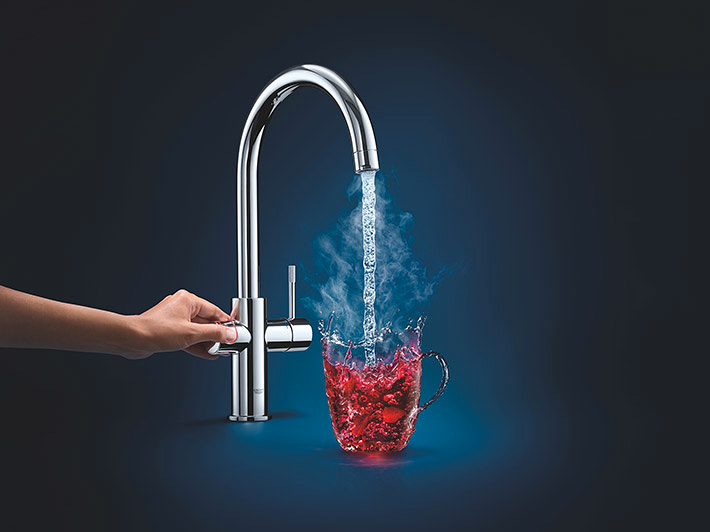 As a mono version, the GROHE Red hot water supplier supplements the existing kitchen mixer. 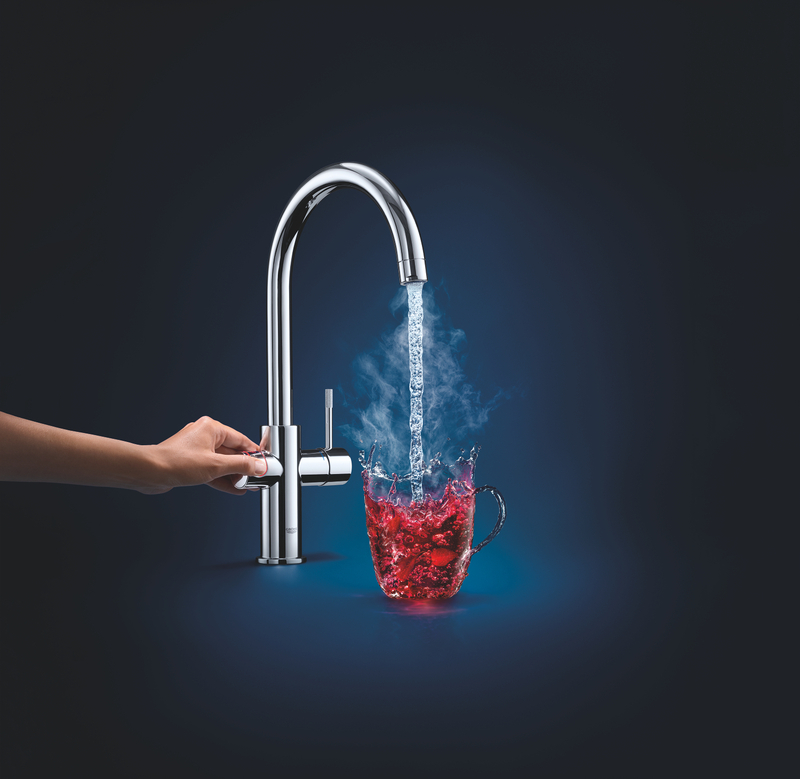 As a duo version, GROHE Red supplies hot and chilled tap water and completely replaces the pre-installed kitchen mixer. In the duo version, the water supply for normal and boiling water is separated. The equipment also includes a boiler with integrated filter. With a volume of either three or five and a half litres, the boiler can beeasilyinstalled under any conventional household sink. 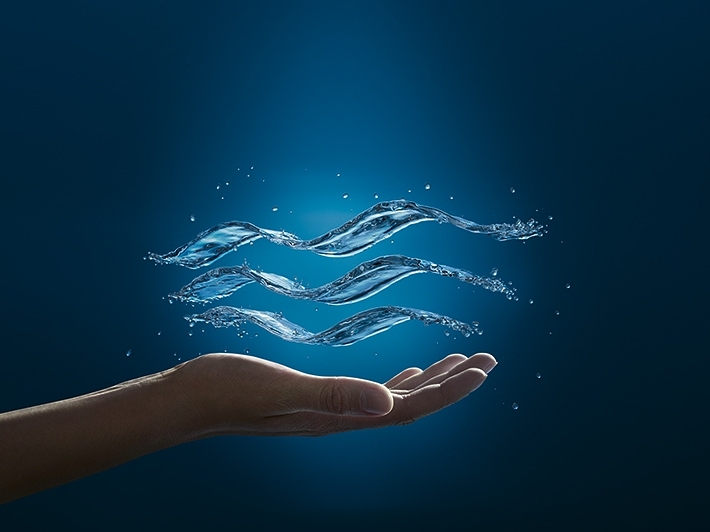 The installed filter can be reordered at the GROHE online store and changed in no time at home. Comparedto heating water in a kettle or on the hob, GROHE Red heats only the exact amount ofwaterneeded. Large quantities willnot posea problem either, for example, when preparing spaghetti. Thanks to the "pot filler" feature, up to three litres of boiling water can be taken out at once. Absolutecomfort: As soon as the pot filler function has been activated, the button does not have to be pushed anymore –and GROHE Red stops automatically after 60 seconds. Safety first! The cup of tea or the baby bottle can be filled directly from the kitchen faucetwithout any concern aboutgetting burnt: The built-in spray regulator is patented and guarantees a constant boiling water stream without dangerous splashes. If you take your hand off the button, the water flow stops immediately! In addition, the GROHE CoolTouch technologyassures thatthe tap is absolutely protected and can be touched without hesitation at any time –whether by an adult who is lost in thoughts or by a child who is experimenting with water. During the developing process of the CoolTouch technology, GROHE engineers put special emphasis on safety for children. Hence, the GROHE ChildLock technology protects the youngest from burns caused by boiling water. For the heated waterto flow, the child safety button must be pushed for one second. Thanks to the additional cut-off feature, the water flow is stopped immediately as soon as the finger is removed from the button. The safety of the GROHE Red ChildLock technology is TÜV tested and meets all relevant safety regulations and quality standards. HomeWhether boiling-hot or chilled and sparkling, with the two taps Red and Blue Home, GROHE offers anall-rounderfor everyneed-straightfrom the kitchen faucet! While GROHE Red supplies hot water, GROHE BlueHome ensures refined, filtered drinking water chilled to the optimum drinking temperature in the varieties sparkling, mediumsparkling and still. The two GROHE Blue Home and Red water systems complement each other perfectly. Together they are a convenientand sustainable solution for the daily water supply in your kitchen.